Home » Articles » Banking Compliance and FATCA » Have You Received a FATCA Letter? Many U.S. expatriate taxpayers are receiving “FATCA” letters from offshore banks around the world. The banks are sending the letters in anticipation of their I.R.S. FATCA reports of U.S. taxpayer offshore financial information. 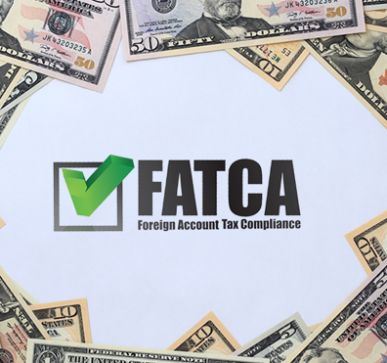 A FATCA letter is a letter from a Foreign Financial Institution (FFI) requesting certain information about a taxpayers’ U.S.A. tax filing status. The letter will most like have a W-9 or W-8 BEN form which the foreign bank will want back relatively quickly within a certain time limit. The foreign bank wants the signed filled in forms back confirming whether the letter recipient is a U.S. taxpayer and subject to FATCA reporting. Moreover, receipt of FATCA Letter means that the taxpayer has already been identified as a U.S. taxpayer by the FFI, and his or hers name and financial account information will be disclosed to the I.R.S. Chances are, if the account holder’s account is in certain countries, that this information has already been released to the I.R.S., as the first FATCA exchange of information took place in September of 2015. Banks annually review their client records. If the bank records contain certain indications of a U.S. taxpayer connection, i.e. – a Power of Attorney (POA), or third party authority in favor of a person with a U.S. address, or a birthplace in the United States (which automatically makes an account holder a U.S. citizen) – the bank will write to inquire about the taxpayer’s U.S. tax, and residence status. Banks that fail to disclose account data of a “U.S. Person” are penalized under FATCA. In sum, banks have been drafted to act as third party reporters for the I.R.S. 1) If the taxpayer is fully compliant and receives a FATCA Letter, simply reply back to bank, and provide the information requested. 2) If the taxpayer ignores the FATCA Letter, then the bank account could very well be closed by the foreign bank. In addition, the taxpayer’s detail will still be sent to the I.R.S. The taxpayer will be red flagged and labeled as uncooperative or recalcitrant. This approach is never recommended and will only yield very negative results. 3) If a U.S. taxpayer is not U.S. tax filing and reporting compliant, it is best to contact a qualified tax professional, and take advantage of I.R.S. programs designed for minimizing potential negative consequences for offshore non-compliant U.S. taxpayers. 4) The taxpayer would still need to respond to the Bank, and inform them that they are in the process of filing. Banks usually provide a 30 – 45 day extension. U.S. offshore non-compliant taxpayers should not be victims of their own making. They should consider taking advantage of the I.R.S. Voluntary Disclosure Programs available to them now. This is especially urgent if they have received a FATCA Letter.